With the world population expected to reach 8.3 billion people in 2030, Earth may no longer be a sustainable planet for its inhabitants. This also means space colonization will no longer be a far-fetched idea for sci-fi novels, rather the human race’s last chance for survival. According to NASA researches, Mars is the most habitable planet in the solar system that’s within our reach. However, there are still many challenges that we need to overcome before mass migration to Mars and space is possible. And the first thing that we will need before we settle on Mars is to establish a stable food supply. 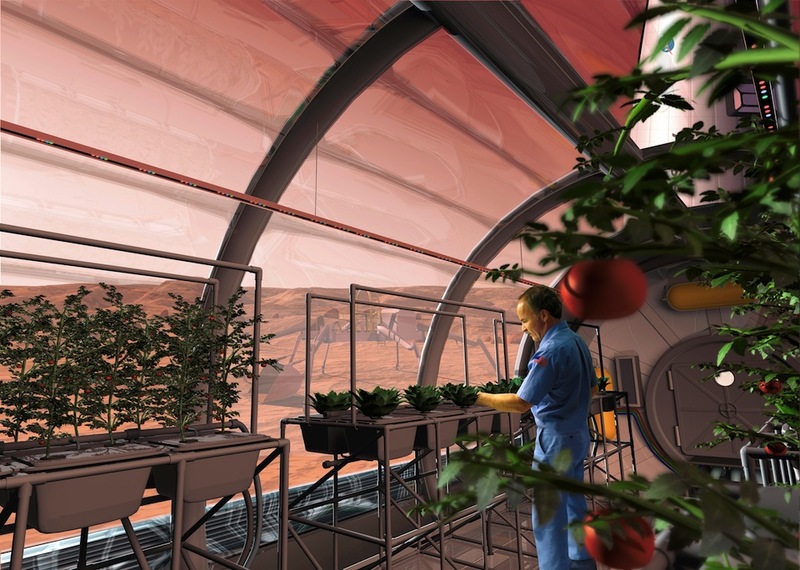 If you are new to the idea of space farming, this article will help you catch up with current research as well as learn how the 3Dponics hydroponics system will help astronauts solve the problem of food supply on Mars. When exploring a new land, whether Earth or any other planet, the very first problem that explorers need to address, before doing anything else, is finding food. No food, no life. And while farming sounds quite trivial in today’s society, it has been our main occupation up until few centuries ago, before the industrialization took over and pushed agriculture to an incredibly high level of efficiency. You may be wondering, “Can’t we just simply send food from Earth to space?” Well, while it is possible, it is also extremely expensive and inefficient. For instance, it costs on average $10,000 and seven months of travel to send one pound of food from Earth to Mars. Now we see why we can’t really rely on this method if we want to start an entire new civilization. Being able to take agriculture with us is the most vital element for our survival when exploring a new land, thus the need of space farming. 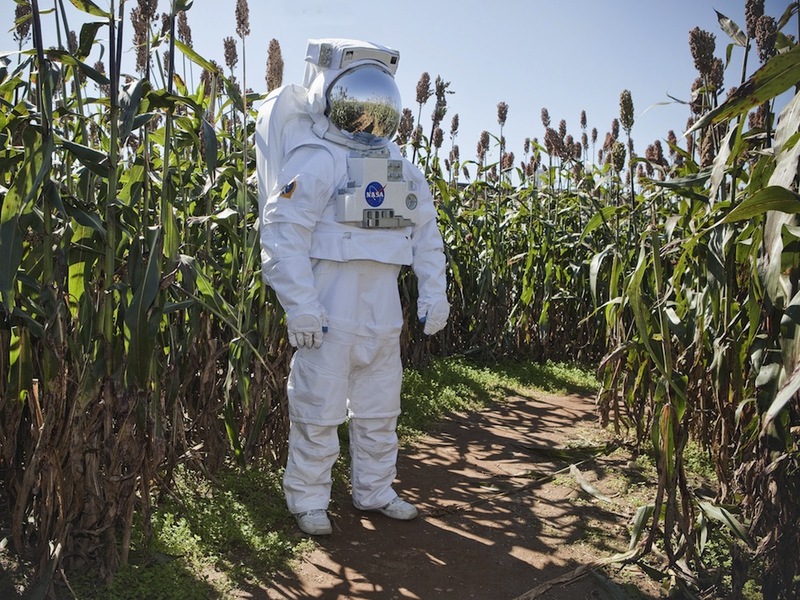 However, growing foods on another planet might not be as easy as it is on Earth, since different environmental conditions will pose new challenges that we will need to overcome. While experiments conducted by the International Space Station (ISS) show that plants could grow in microgravity (an environment with little to no gravity), we are still studying the various effects that reduced gravity might have on plants. Apparently, gravity appears to play an important role on root and stem orientation, thus the need to simulate a gravity level close to Earth’s own. Because the surface of Mars receives only about half the sunlight of Earth’s, plants might not fully grow in Mars’ natural conditions. The current challenge is how to recreate light conditions on Earth using artificial lighting and with minimal energy requirements. When it comes to water and air distribution, some substrates are better than others. In space, grainy soils can cause water to scatter and fine soils can prevent airflow. Because most of our activities, including gardening, will have to take place inside confined spacecrafts, we need to develop an efficient farming system that maximizes yields in small spaces. Progress: How far have we come? The data obtained from the experiments conducted by the ISS to date have given some prominent results. 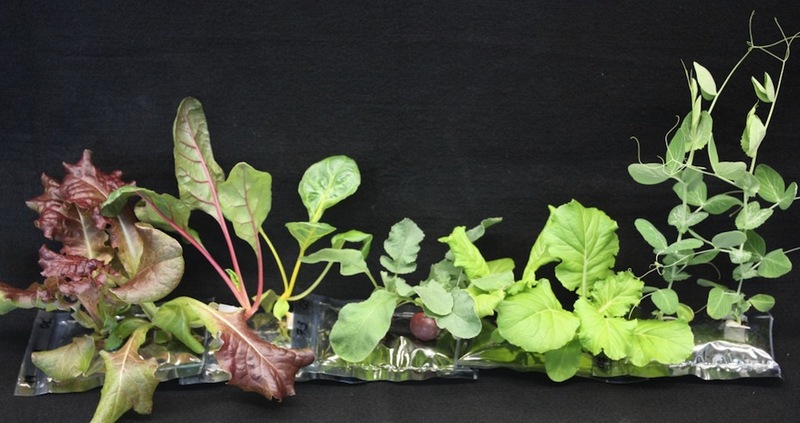 Researchers have begun to grow several types of plants in space, including cress, lentils, wheat, leafy greens and soybeans. The microgravity problem has been partially solved by artificial gravity produced from a mechanical centrifuge. In terms of lighting, NASA has been studying using LED lamps to give plants only the wavelengths of light they need to boost efficiency. However, the limited space is an ongoing issue, which various institutions are still working on. 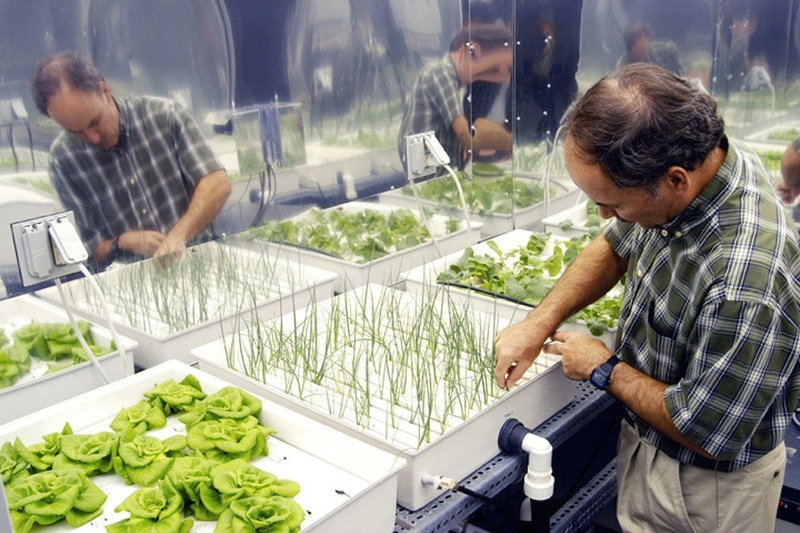 Without having access to the massive farmlands on Earth, many scientist and researchers think hydroponics systems will be the most viable solution to fit into tight spacecrafts. What has 3Dponics been working on? 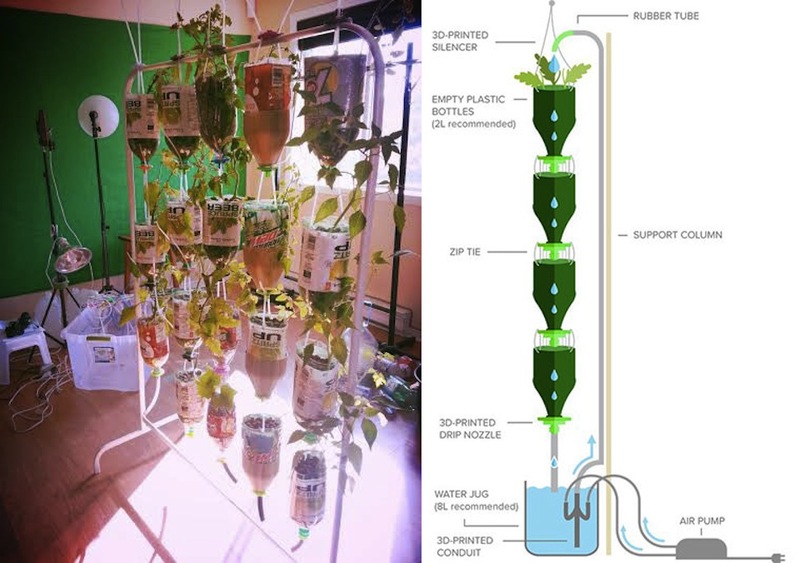 With the goal of solving the limited space problem for space farming, 3Dponics has been continuously developing and improving our vertical drip hydroponics system. As an open-source learning site, we constantly receive ideas and suggestions to enhance our system’s efficiency from countless contributors with different backgrounds and specializations. So far, we’ve come up with a fully customizable, vertical system that is specifically designed to fit in indoor limited spaces such as living room, small balcony, etc. We are also experimenting with growing various types of vegetables using different combinations of fertilizer and substrate to solve the problem of water and air distribution. Given the possibility of 3D printing in space, astronauts can print out all parts needed for our hydroponics system and expand their space farm without acquiring extra supplies from Earth. As you can see, space farming is a crucial technology that we need to master before we decide to settle on another planet. While there are many challenges to overcome–including gravity, lighting, water and air distribution, and limited availability of space–we are approaching a permanent solution that will eventually allow humans to have access to stable food supplies on Mars and beyond. With the shared-learning philosophy of 3Dponics, we aim to perfect our design and test out its viability on Mars in the near future. If this project is successful, this could mean 3Dponics and all of its followers adn contributors have made history in our path towards space colonization! This entry was publish on May 11, 2015 / Tan. Posted in educational, Space farming and tagged 3dponics, farming, hydroponics, space, space farming. Bookmark the permalink.